Situated near Interstate 5, Red Lion Inn & Suites Federal Way offers one of the most prime locations amid Federal Way hotels. 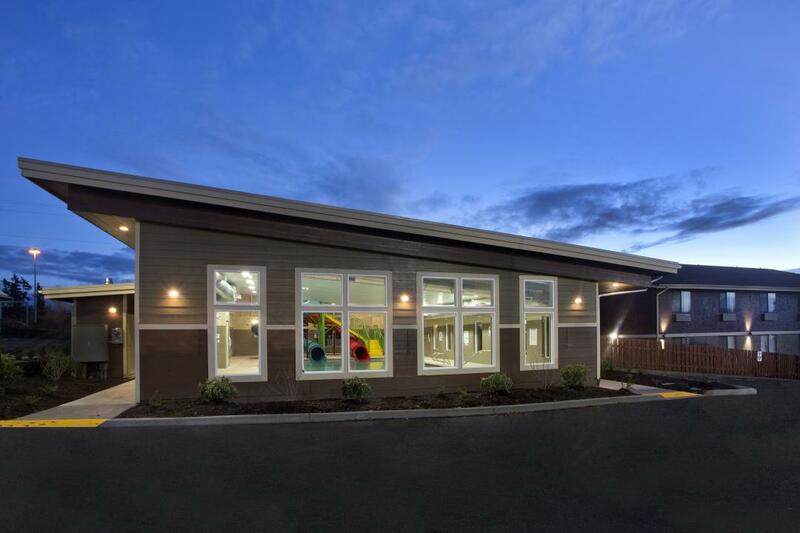 Relax with easy access to the most popular places to go in Federal Way and Tacoma, including the Weyerhaeuser-King County Aquatic Center, Tacoma Dome, and Seattle-Tacoma International Airport. Our front desk staff is available 24 hours to supply the recommendations and directions you need for an enjoyable stay. As a full-service hotel in Federal Way, WA, Red Lion Inn & Suites Federal Way offers resort-style amenities for your comfort and convenience. Wake up in one of our 90 spacious yet cozy accommodations to a custom wake up call and the smell of a complimentary continental breakfast. Before setting off on your Washington adventure, plan your day out with complimentary Wi-Fi available throughout our hotel and reboot with a cup of complimentary coffee or tea from our hotel lobby. For traveling business execs, we provide a 24-hour business center equipped with fax and copy services; as well as, a 300 square feet conference room for meetings and gatherings. To learn more about Red Lion Inn & Suites Federal Way, please contact our front desk directly and a member of our team will be happy to assist you. Enjoy Our Amenities & Services Red Lion Inn & Suites Federal Way provides premier amenities and services for fun and relaxing lodging in Federal Way. From sipping on your complimentary coffee or tea in the morning to your last wake up call, our full-service hotel in Federal Way will make sure that your stay is both fulfilling and pleasurable. 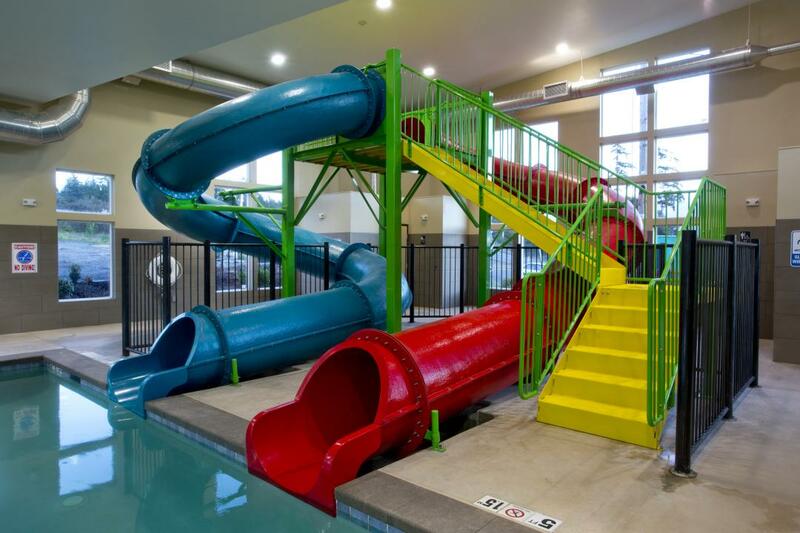 Our onsite indoor mini-water park includes double water slides, a hot tub, a pool, and areas to relax. Check out our special packages to save more on your stay, and enjoy our indoor mini-water park. Welcome to our Pet-Friendly Federal Way Hotel. We are happy to welcome pets to our hotel. Red Lion Inn & Suites Federal Way offers a prime location near some of the top restaurants in Federal Way, WA. View our Federal Way dining list below for nearby options. 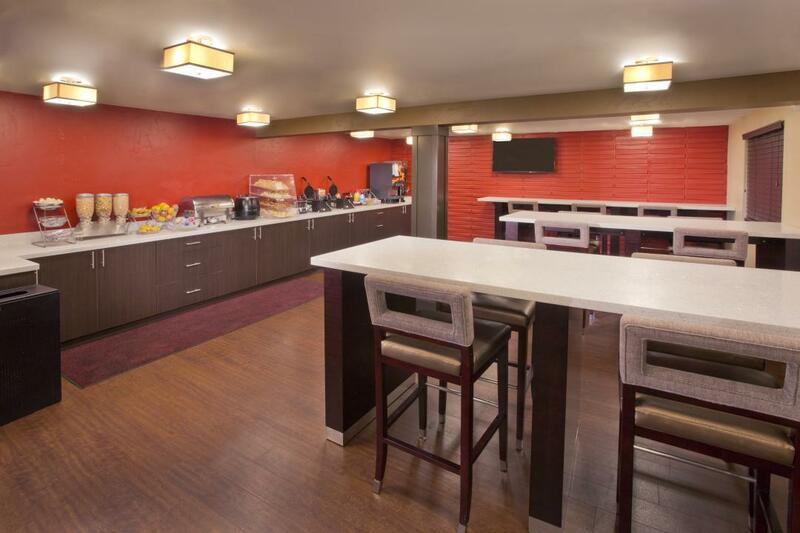 Before you head out for the day, be sure to stop by our breakfast area for a complimentary continental breakfast. Relish the exotic flavors of authentic Indian cuisine at this restaurant and buffet. Indulge on appetizing Japanese dishes from this buffet and sushi bar. Savor the delectable tang of Hawaiian BBQ. Enjoy the fresh ingredients of genuine Mexican food. Enjoy an entertaining Federal Way dining experience with creative wood-fired pizzas and a fine selection of beer and cocktails. Visit this local favorite for some of the only 24-hour dining in Federal Way. Make some memories with delicious food and drinks at one of the most fun sports bars and restaurants in Federal Way, WA. Experience fine Federal Way dining at one of the nicest restaurants in Federal Way, WA. Red Lion Inn & Suites Federal Way offers a 300 square feet conference room for events in Federal Way, WA. Our intimate space allows for meetings up to 25-30 guests and is accompanied by a private restroom. At Red Lion Inn & Suites Federal Way, we recognize the hard work that our local, state, and federal government employees provide, which is why we’re excited to offer the per diem government traveler rate at our Federal Way Hotel. Fueled by government activity, Red Lion Inn & Suites Federal Way is an ideal Federal Way location to rest and recharge. For the best government discounts on Federal Way hotels, look no further. If your agency is traveling as a group contact our front office at 253-838-8808 today. Terms: Guest must have valid government ID at check in to our Federal Way Hotel. Active duty/retired military personnel, federal, state & local government, cost contractors, staff of public schools, colleges and universities and employees of foreign governments are eligible for the per diem rates. Situated off Interstate 5, Red Lion Inn & Suites Federal Way offers a prime location near top Federal Way attractions. Discover all that Federal Way has to offer with this list of our favorite things to do in Federal Way, WA. Browse through the largest collection of classic automobiles, trucks and motorcycles in the world. Play a round of golf on a Scottish links-style course at the home of the 2015 U.S. Open. Shop over 100 stores at the Commons, including Macy's, Sears and Target. Test your luck on at Bingo and over 30 Poker tables, 70 table games and 3,000 video gaming machines. Learn about the 3500-year history of glass artistry. Explore the only combined zoo and aquarium in the Northwest. Catch a show or one of the exciting events happening at this indoor arena. Have the time of your life at the only amusement and water park in Washington. With its scenic location along the coast, there are many activities and attractions in Federal Way. Take a look at the following Federal Way attractions and start planning your Pacific Northwest adventure. The Pacific Bonsai Museum features bonsai from the Pacific Rim nations of Canada, China, Japan, Korea, Taiwan and the United States. The collection opened in 1989 with the Washington State Centennial celebration. There are currently about a hundred trees in the collection, and about sixty on display in the viewing area. The others are held in reserve in a “growing area” that is not open to the public. Trees are periodically rotated between the growing area and display area in order to add variety to the exhibit. See a wide variety of these beautiful and serene plants. This stunning botanical garden is home to one of the largest collections of species rhododendrons in the world. The garden displays over 700 species from North America, Europe and Asia, as well as the tropical regions of southeast Asia and northern Australia. With many festivals and flower sales throughout the year, this garden is an exceptional place to enjoy nature's beauty. Looking for activities with the kids? Laser Quest has exciting laser tag events. With affordable prices, you'll be able to play multiple rounds of games. Laser Quest is also a great event for a corporate outing or for a thrilling birthday party. There's bouncy fun for kids at Trampoline Nation. Games include trampoline dodgeball and trampoline basketball. Get active and bounce off the walls at this lively arena. For outdoor adventure, visit Dash Point State Park. This 398-acre camping park features 3,301-feet of saltwater shoreline. The beach provides unobstructed views of the Puget Sound and you can canoe, kayak or just swim in the calm waters. Enjoy one of the most beautiful and unique free museums near Seattle by spending the day at the Pacific Bonsai Museum. Opened in 1989 as part of the Washington State Centennial to honor the legacy of bonsai, the museum features a breathtaking variety of trees from across the world. Open to the public six days a week, the museum offers contemporary and traditional exhibitions, group tours and educational programming for a rich cultural understanding of the art of bonsai. Past exhibitions have spanned the traditional and the daring and the upcoming shows planned for 2016 are no exception. Last summer's Wireless: Cut Loose took on the daunting feat of wiring required to create every bonsai tree, featuring ingenious miniature wire bonsai sculptures by artist Ken To. Visitors to the Pacific Bonsai Museum in April 2016 will experience Decked-Out: From Scroll to Skateboard, in which the tokonoma (the traditional Japanese environment for displaying bonsai) is brilliantly transformed into skate deck art by 16 of Seattle's best street artists. These new interpretations of an ancient art by one of the most exciting new movements in the creative world are bound to fascinate. 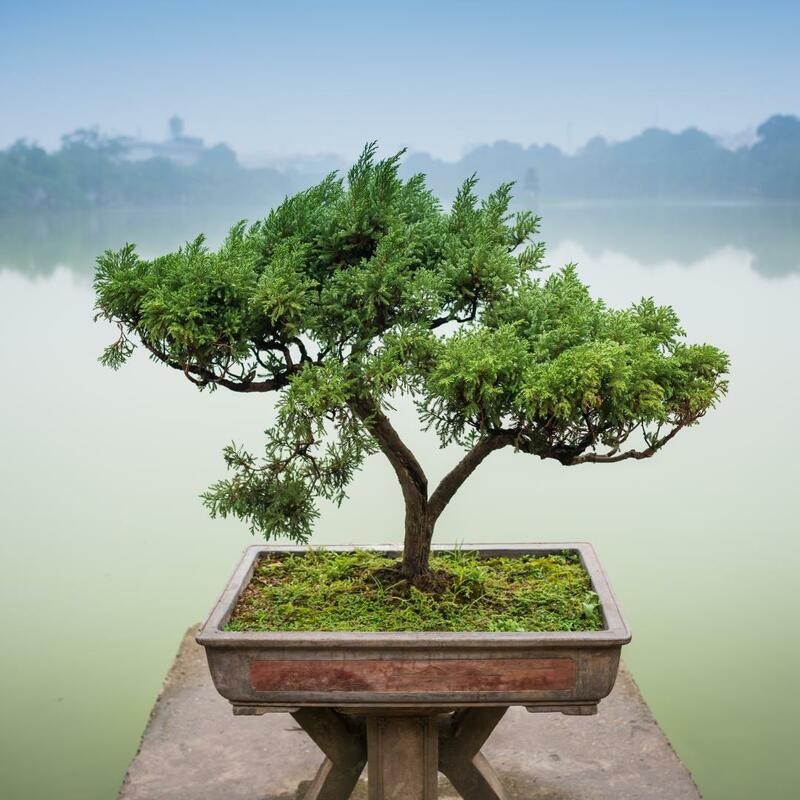 Visit the Pacific Bonsai Museum while staying at our Seattle-area hotel, and experience extraordinary talent and natural beauty in one unforgettable location. The Outlet Collection is one of the best destinations for outlet shopping in Seattle, offering big-name brands, boutiques and dining. Located in Auburn, the Outlet Collection includes opportunities for every kind of well-priced shopping, from high-end formal attire to casual streetwear. Offering exceptional deals you won't find elsewhere, you can browse a massive array of shops at any time of the year. The Outlet Collection regularly holds sales and associated events for its shoppers, with already-reasonable prices becoming even more so on holidays. For breaks in between shopping, there's fresh fare from D'Lara Mediterranean Grill as well as traditional shopping mall offerings like Johnny Rockets, Cinnabon and Panda Express. Visit the Outlet Collection for the best deals on your shopping trip near Federal Way.